Imagine being 20 years old and being investigated for a murder you didn’t commit. Would you know what to say or do? Failure to react correctly could cost you a lifetime in prison. Sound far-fetched? It might surprise you to learn that it happens more often than we think, and for somewhat predictable reasons. 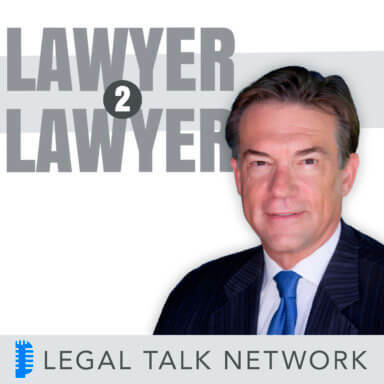 In this special edition of Lawyer 2 Lawyer, host J. Craig Williams interviews William Michael Dillon, a man who spent nearly 30 years behind bars in one of the country’s most dangerous prisons for a crime he did not commit, and Seth Miller, one of the attorneys who helped overturn his conviction. Tune in to hear how false confessions, eyewitness misidentification, and corrupt jail-house snitches are costing innocent people their freedom, and learn why William isn’t angry today and how finding a voice through writing music helped him find hope. William Dillon served 27 years and 8 months of a life sentence for a murder he did not commit. The State of Florida released him in 2008 when DNA testing proved he was not linked to a key piece of evidence used to convict him. He is a singer and songwriter whose work was inspired by his long incarceration in Florida State Prison. Today, he advocates for organizations, including the Innocence Project of Florida, that were instrumental in setting him free. Seth Miller is one of the attorneys who helped exonerate William Dillon. He works for the Innocence Project of Florida where he has dedicated himself to exonerating the innocent since 2006. His organization receives nearly 2,000 requests to review convictions per year. Mr. Miller’s focus is on post-conviction cases that have DNA in evidence. Specail thanks to our sponsor, Clio.